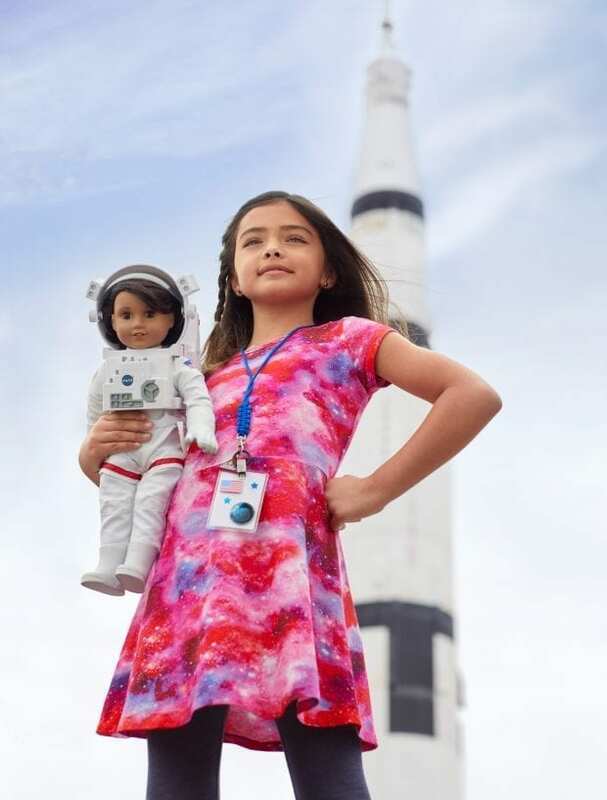 3…2…1…It’s time to blast off with American Girl’s 2018 Girl of the Year ™, Luciana Vega ™! We are so excited about the latest and greats in the American Girl line up. If you follow our blog, you know that we are massive cheerleaders in the S.T.E.A.M. community so this years Girl of the Year is a huge deal for us! American girl spared no amount of research in designing Luciana's backstory and product line. We can't wait to see this doll in person. My daughters are going to FLIP for her! Officially launching on January 1, Luciana is the latest in American Girl’s long line of inspiring characters that encourage girls to think about who they want to be and how they want to make their mark in the world—no matter the challenges they may face. In Luciana, girls will meet a creative, confident 11-year- old girl and aspiring astronaut who dreams of being the first person to go to Mars. And, while she has the skills and smarts to achieve her goals, she also learns that being a good leader and team player right here on Earth is the best first step. 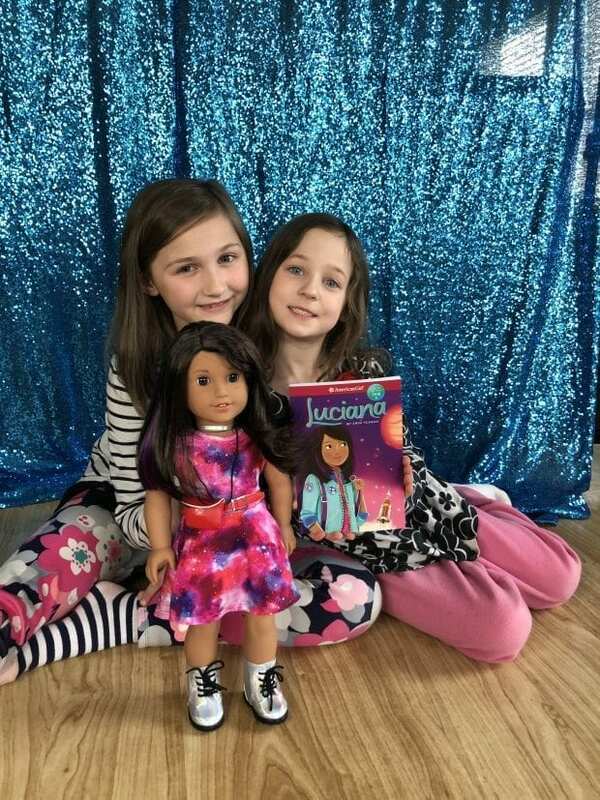 The 18-inch Luciana ™ doll features warm brown eyes, medium skin, and dark brown hair with a distinctive purple streak to show off her creative side. A girl after my own heart with a purple streak in her hair! Other STEM-inspired outfits, accessories, and products that reflect her Space Camp ® experience include Luciana’s Flight Suit and Space Suit, her Maker Station, and a Mars Habitat loaded with science and research essentials for hours of pretend play. And—for the first time—girls can further engage in Luciana’s world by downloading the American Girl app and scanning her catalog pages and products to unlock exclusive content, including augmented reality, trailers and videos, space simulations, quizzes and challenges, and much more.Additionally, Luciana’s story is chronicled in a chapter book series written by Erin Teagan and published by Scholastic. The first two books, available now, introduce readers to Luciana, a young girl of Chilean descent with a serious science streak, who loves the idea of exploring new territories in space. After winning a scholarship to Space Camp in Huntsville, Alabama, Luciana is thrilled to launch her dream of landing on Mars. But as she ascends from Space Camp kid to youth astronaut trainee, she faces many challenges that test her competitive spirit and self-confidence, and she must find the courage to embrace the unknown with bravery, curiosity, and wonder. American Girl worked with Dr. Ellen Stofan, former NASA Chief Scientist; Dr. Deborah Barnhart, CEO and Executive Director of the U.S. Space & Rocket Center; Dr. Megan McArthur Behnken, NASA Astronaut; and Maureen O’Brien, Manager of Strategic Alliances at NASA to help ensure the accuracy of Luciana’s story and product line. In addition, a team of American Girl editors and product designers visited Space Camp and NASA’s Johnson Space Center in Houston to gain insight into a day in the life of a Space Camp trainee—from putting on space suits and learning about the “right” way to eat in space to conducting a mission in micro-gravity. 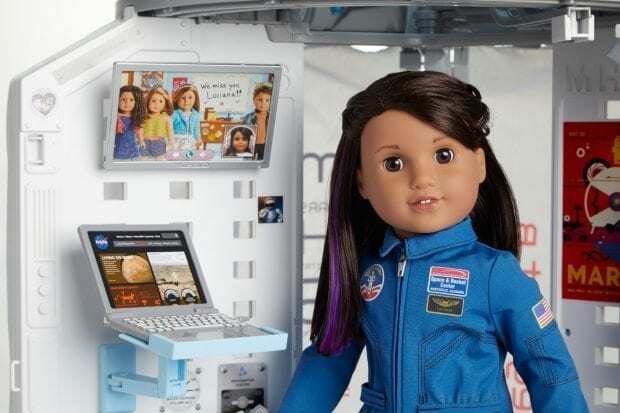 American Girl’s partnership with NASA was developed through the Space Act Agreement to inform and inspire the wider public (and especially young girls) about the excitement of space and STEM careers. 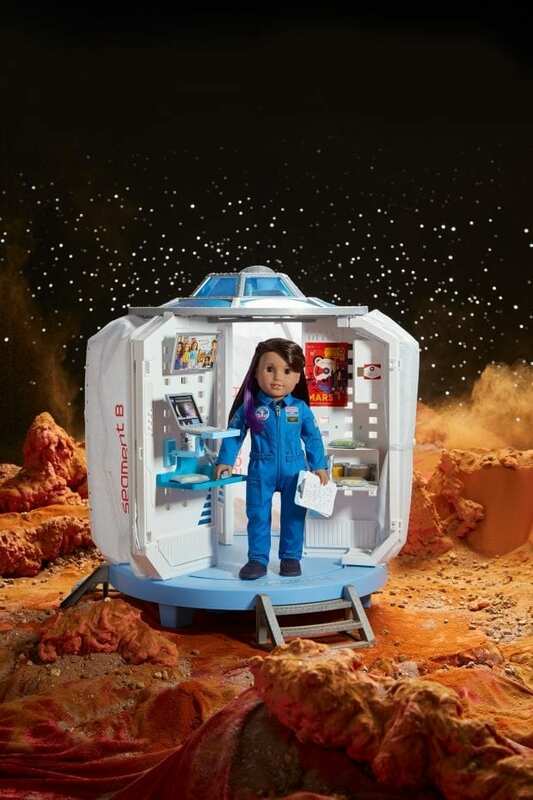 To engage girls and boys with Luciana’s message, American Girl—in partnerships with Scholastic, NASA, and Space Camp—has funded Blast Off to Discovery, an educational program to help third through fifth-grade students explore the wonder of space through Luciana-inspired content, including STEM-based lesson plans and classroom activities, videos, a game, and more. 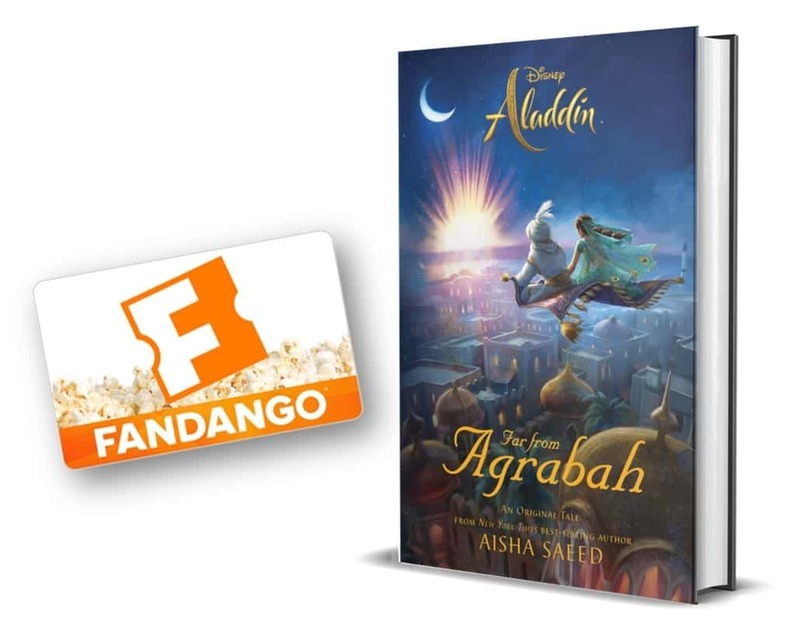 The program will be available on www.scholastic.com starting January 31, 2018. 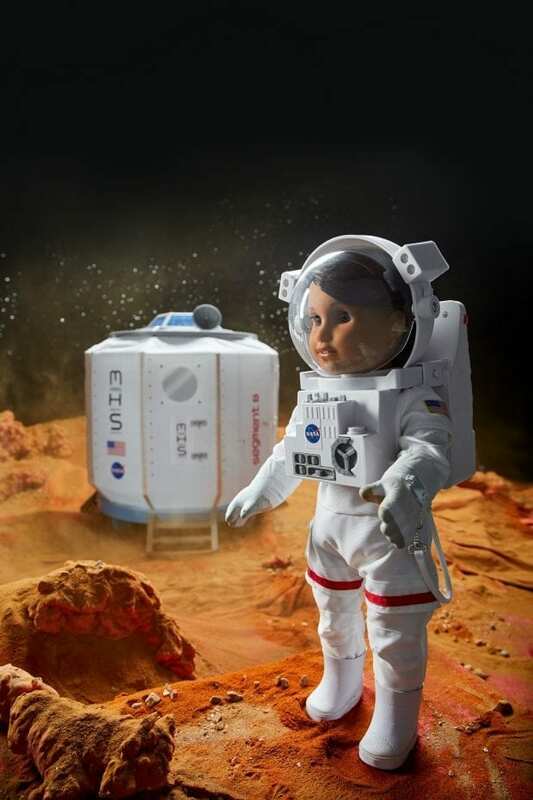 In addition, American Girl and Scholastic will host a Mission to Mars Sweepstakes where families can go on a series of weekly missions for a chance to win several prizes, including a grand prize trip to Space Camp valued at over $2,000. Luciana Retail Events: On January 1, American Girl stores nationwide are hosting Luciana’s Debut Event, where girls can celebrate the company’s first STEM-themed character with fun, interactive science demonstrations, a Moon Phase craft, galaxy-inspired treats, and a free Luciana doll tee to take home. For more details, visit americangirl.com/retail.